There are currently 23 articles to assist coaches and athletes in the sport of Olympic Weightlifting that are freely available on this website to anyone who visits (non-members). More free articles are being added on a weekly basis. Click the following button to take you to a listing of these articles. 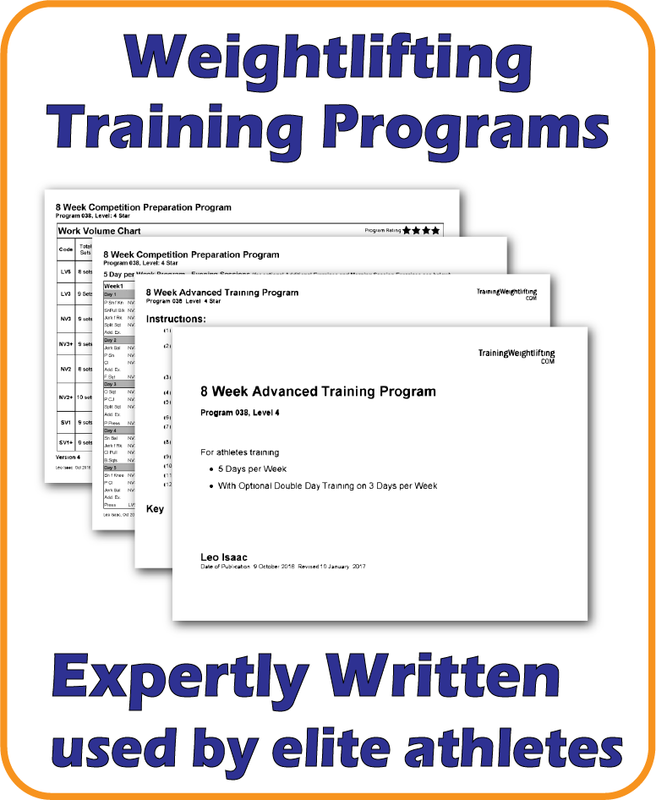 A one month subscription of $10 to TRAININGWEIGHTLIFTING.COM enables access to additional articles and teaching/learning resources to assist coaches and athletes develop a deeper understanding about the science of the sport of Olympic Weightlifting. Many of these articles have been written as a result of extensive research and are fully referenced. Articles cover a range of subjects including technique. assistance exercises, training methodology, physiolology, nutrition, biomechanics, motor learning, psychology, coaching pedagogy and other subjects relevant to a Weightlifting readership. More articles are being written every month and information about new articles will be periodically email to previous subscribers. Once you have subscribed as a one-month member, you will see links in the “Members Menu” where you accessed this page. If you take out a full membership, in addition to access to subscription only articles you will also be able to request any of the training programs that are currently on sale on this website, and be able to receive up to one hour per month coaching advice from Leo Isaac. This services includes technique analysis and feedback on one video per month. Payment is $10 per month and you can cancel your membership after two months if you are not satisfied.